Our 2014 Broman Cabernet Sauvignon is 100 percent Cabernet Sauvignon from our own vineyard on the way up Howell Mountain. This wine was aged in French oak for 30 months. Twenty percent of this oak is new; the remainder is 2 – 5 years old. The 2014 growing season was early from bud break to harvest, but it was also steady and even creating optimal growing conditions for our Cabernet Sauvignon. This showed in our grapes which reached perfect maturity and balance. A bouquet of blueberry and boysenberry, creamy caramel and leather with a touch of sweet oak is even more tantalizing on the palate. 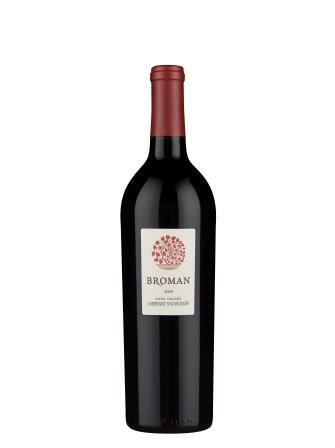 Balanced acidity and fine tannins develop through to a long, smooth finish as is characteristic of Broman Cabernet. This wine will cellar beautifully for at least another 10 years.